IBM - 40K1232 40K1232 IBM Intel Xeon 5120 Dual-core 1.86GHz 4MB L2 Cache 1066MHz FSB Socket Lga-771 Rpocessor For X3650 Server. New Bulk Pack. Hewlett Packard - 418320-B21 HP/COMPAQ - INTEL XEON DUAL-CORE 5120 1.86GHZ 4MB L2 CACHE 1066MHZ FSB SOCKET-LGA771 65NM PROCESSOR KIT FOR PROLIANT DL380 G5 SERVER (418320-B21). NEW BULK. IN STOCK. READY TO SHIP SAME DAY. Hewlett Packard - 416788-B21 416788-B21 HP Intel Xeon 5120 Dual Core 1.86GHz 4MB L2 Cache 1066MHz FSB Socket-lga771 Processor For Proliant Bl20p G4 Server. New Bulk Pack. 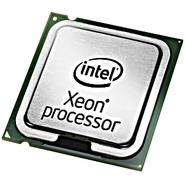 Hewlett Packard - EY013AA EY013AA HP Intel Xeon 5120 Dual core 1.86MHz 4MB L2 Cache 1066MHz FSB Socket lga771 65nm Processor Kit For Workstation Xw6400 Xw8400. New Bulk Pack. Intel - CD8067303535900 CD8067303535900 Intel Xeon 14-Core Gold 5120 2.2GHz 19.25MB L3 Cache 10.4GT S UPI Speed Socket FCLGA3647 14NM 105W Processor. New Bulk Pack. Intel - SR3GD SR3GD Intel Xeon 14-Core Gold 5120 2.2GHz 19.25MB L3 Cache 10.4GT S UPI Speed Socket FCLGA3647 14NM 105W Processor. New Bulk Pack. Hewlett Packard - 826856-B21 826856-B21 HP intel xeon 14-core gold 5120 2.2GHZ 19.25MB L3 cache 10.4GT S UPI speed socket FCLGA3647 14NM 105W processor kit for DL380 GEN10 server. New Bulk Pack. Hewlett Packard - 872015-L21 872015-L21 HP Intel Xeon Gold 5120 14 Core 2.20GHz 10.40GT S UPI 19.25MB L3 Cache Processor Upgrade for BL460c Gen10 Server. New Retail Factory Sealed With Full Manufacturer Warranty. Hewlett Packard - 826856-L21 826856-L21 HPE 2.20GHz 10.40GT s UPI 19.25MB L3 Cache Intel Xeon Gold 5120 14-Core 14NM 105W Processor. New Bulk Pack. Hewlett Packard - 872015-B21 872015-B21 HP Intel Xeon Gold 5120 14 Core 2.20GHz 10.40GT S UPI 19.25MB L3 Cache Processor Upgrade for BL460c Gen10 Server. New Bulk Pack. Hewlett Packard - 860665-B21 860665-B21 HP 2.20GHz 10.40GT s UPI 19.25MB L3 Cache Intel Xeon Gold 5120 14-Core 14NM 105W Processor. New Retail Factory Sealed With Full Manufacturer Warranty. Hewlett Packard - 860665-L21 860665-L21 HPE 2.20GHz 10.40GT s UPI 19.25MB L3 Cache Intel Xeon Gold 5120 14-Core 14NM 105W Processor. New Bulk Pack.